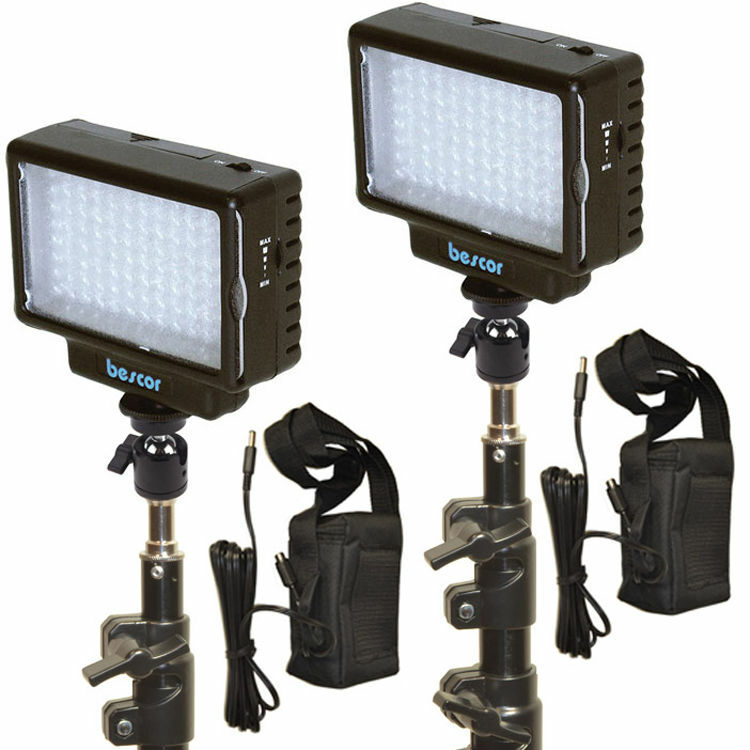 With its 70W tungsten equivalent output, the LED-70 Daylight Studio 2 Light Battery Kit from Bescor is great way for videographers on the go to light interviews, events, or spot news. The kit includes 2 LED-70 Daylight fixtures, conversion and diffusion filters, 2 multi-voltage AC adapters, two 14.3Ah SLM-5 batteries with chargers, and 2 light stands. The Bescor LED-70 Daylight fixture is a 6500K on-camera LED light designed to combine bright output with a compact, highly flexible form factor. Powered by six rechargeable or standard alkaline AA batteries, the included SLM-5 batteries, or the included AC power adapter, the unit's 96 LEDs produce a bright, 70W tungsten equivalent beam that's dimmable from 100 - 20%. This AC Adapter from Bescor can be used to provide power to a Bescor LED-70 light. It features a type A plug that is compatible with type A or B power outlets. When in use, power is delivered through a 9.8' cable with a DC connector. Box Dimensions (LxWxH) 5.0 x 2.8 x 2.1"